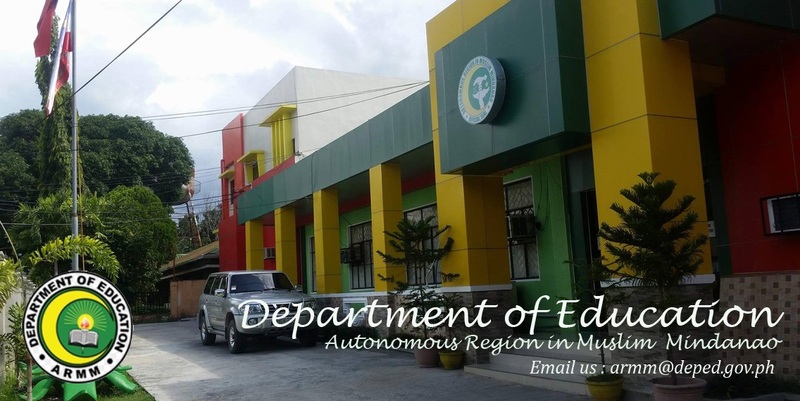 The Bureau of Madrasah Education (BME) of DepEd-ARMM commence another program focus to live up to its update under the Expanded Organic Act. This new and third focus on Da’wah and Transformation Program (DTP). 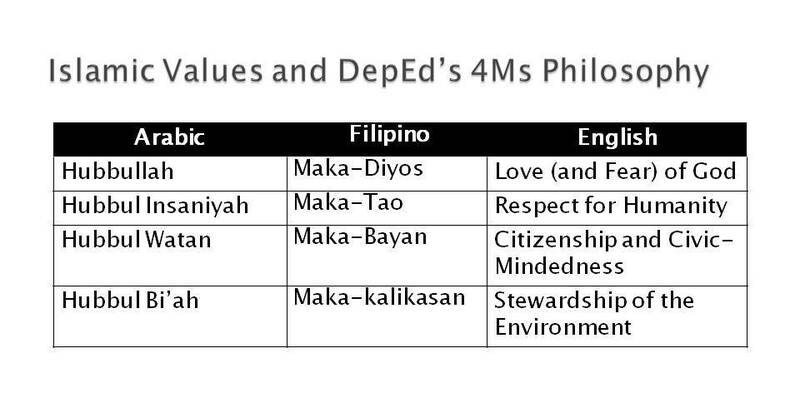 According to Regional Secretary Atty Jamar Kulayan, among the 400+ Arabic teachers employed by DepEd-ARMM are prominent ulama who can be tapped to lead in spiritual development and moral transformation. 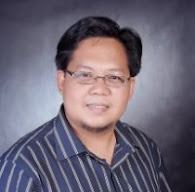 The Da’wah and Transformation Program was developed to support moral recovery thrust of the current ARMM leadership as critical aspect of sustaining the reforms. ARMM RG Mujiv Hataman explains this latest program will provide leadership in spiritual development and moral transformation of the ARMM bureaucracy starting with DepEd-ARMM; support the Islamic values education program in DepEd-ARMM through provision of interventions for education leaders and personnel; and translate the precepts of peace building among Muslims in the ARMM and DepEd’s 4Ms (illustration below) through contemporary articulation of the Prophetic model. Spiritual Development and Renewal through Ihtikaf (Group Retreat), Ikram (Service), Ijtima’ (Annual Congregation), etc. Islamic values integration across the K to 12 curriculum with Arabic teachers serving as mentors to subject teachers. 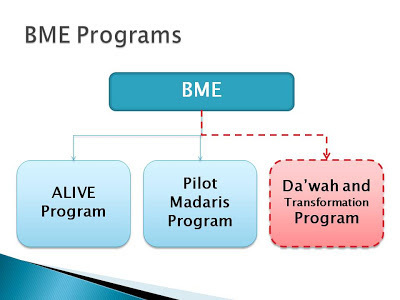 BME will senior and respective ulama/asatidza with plantilla positions to serve as resource persons, mentors and facilitators; coordinate with ORG, DepEd and other Department managers to widen the program reach and generate critical resource support; and liaise with Darul-Iftah and similar ulama’ groups, locally and overseas for moral and other available support.